Good day kids! You must be enjoying playing in the snow this winter season. Be careful not to fall sick in the cold. Listen to your parents and your teachers when they tell you to keep warm and take care of yourself. Just like you appreciate your parents for their love, you should appreciate your teachers too. 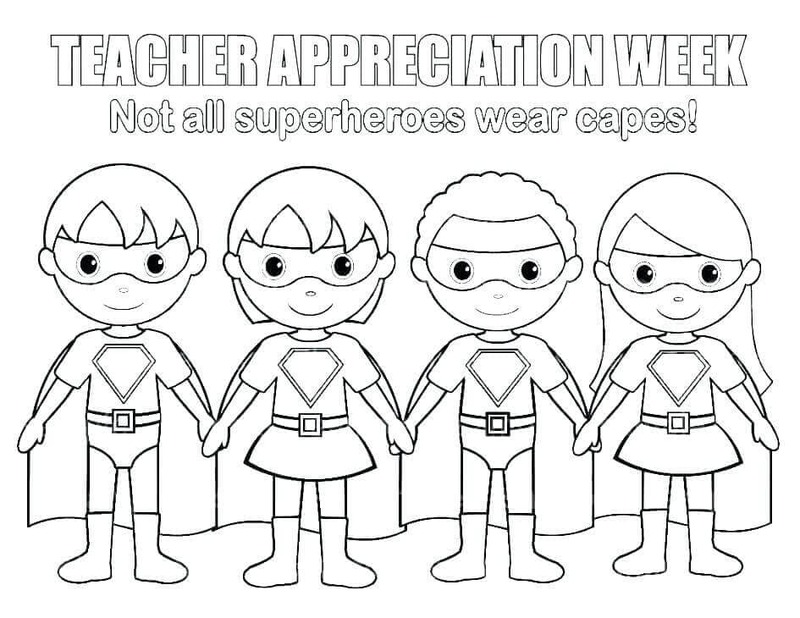 That is why we have brought for you a collection of Teacher Appreciation Week coloring pages printable. Teacher Appreciation Week is observed in May during the first full week after it was established in 1985 by the United States’ National Parent Teacher Association (National PTA). Although Teachers’ Day had been observed on different dates earlier, after this decision, the National Education Association (NEA) chose the Tuesday of the full week as the National Teachers’ Day. Let’s get to know more about Teacher Appreciation Week to honor and recognize the contributions our teachers make in our lives through this collection. If math is something you like, then you will certainly adore Miss Mathematician here teaching you about addition. Can you figure out the answer to the problem? You can print and color this page, then write the answer. You can make this into an amazing card for your favorite teachers and give it to them during the Teacher Appreciation Week. 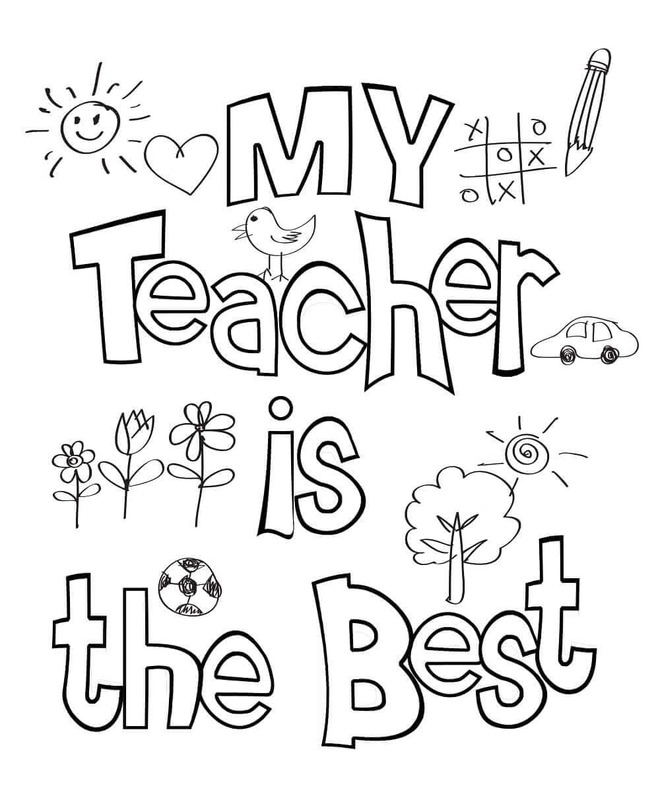 You can print and fill in the words using different bright colors to add sparkle to this Teacher’s Day card. You must be having a teacher in your school who just makes you super-excited to be in the class. Just like this enthusiastic teacher here, eagerly teaching all his pupils with the right balance of information and fun. 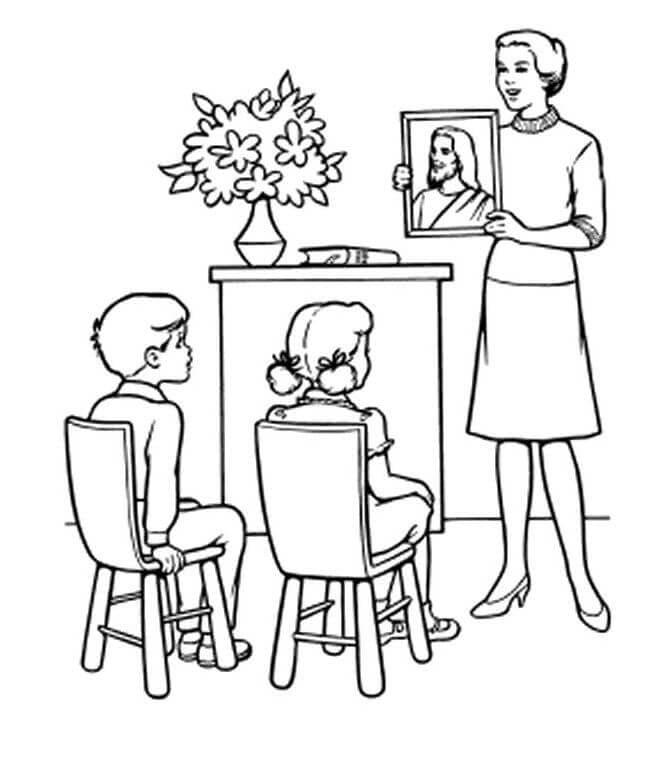 Enjoy learning from him by printing and coloring this page with matching enthusiasm. If you feel there is a teacher, whether in school or outside, who has helped you learn important lessons in life, you can award them with this teacher appreciation card. To make it look as official as possible, it even comes with a place for your signature and date. You can print this coloring page and fill it with bright colors for each of the flowers. You can print more than one to give it to each one of your teachers, letting them know what you love about their respective classes. You can even color each one in different colors. Some teachers are so natural that you don’t feel it’s a class at all. Like your English teacher reading you a great story full of fun and adventures and funny anecdotes. 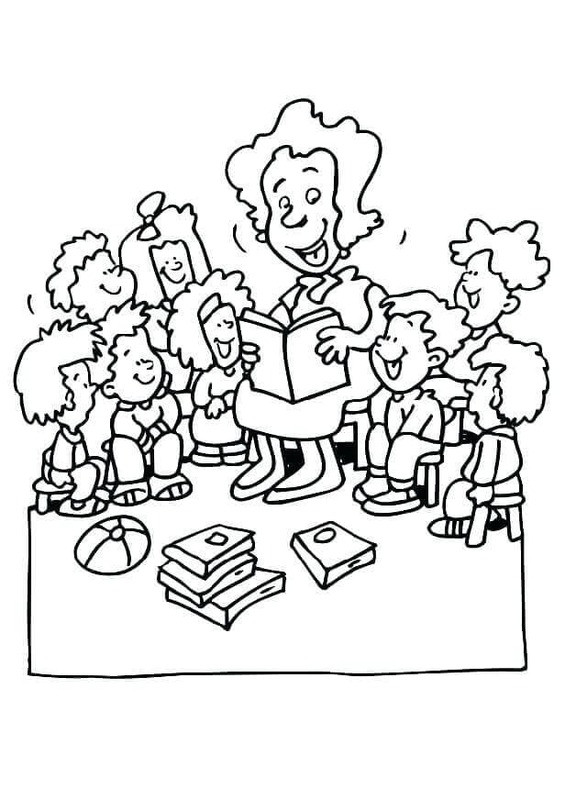 This classroom in the illustration is such a happy one, as the teacher reads the book in character voices, making everyone laugh while they learn. You may feel they know you love them, that you think they are the best teachers in the entire world. But sometimes, some things are better when they are expressed. Much like with our parents, we may often assume that they know we love them even when we don’t say it often. 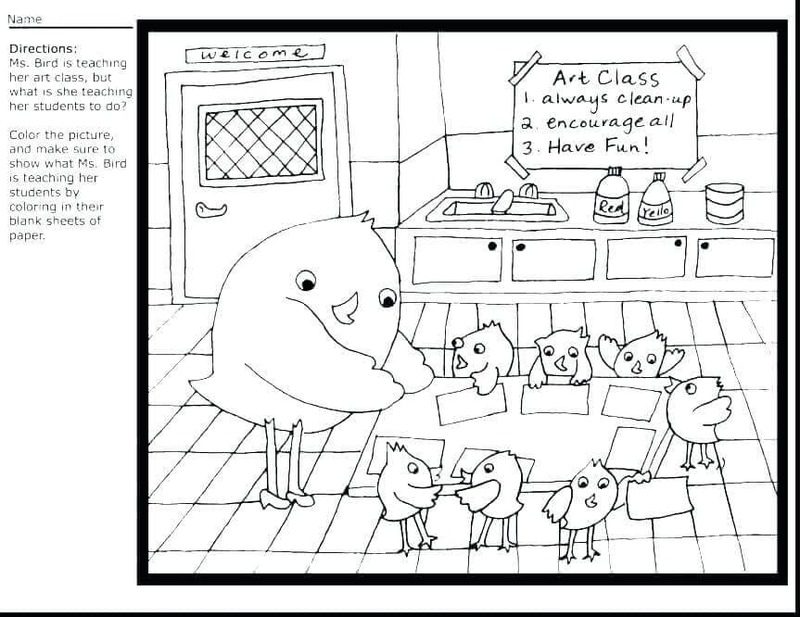 So, print this page, color it and give it to your best teacher. Learning has no age limit. No matter how young or how old we get, there is always something to be learned. Similarly, regardless of age, you can teach someone something valuable. Like this old science teacher, who is ready to share his knowledge as well as wisdom through his experience with all his students. While the old science teacher had an advantage of experience, this young teacher brings about a new perspective and fresh ideas to the process of imparting knowledge. 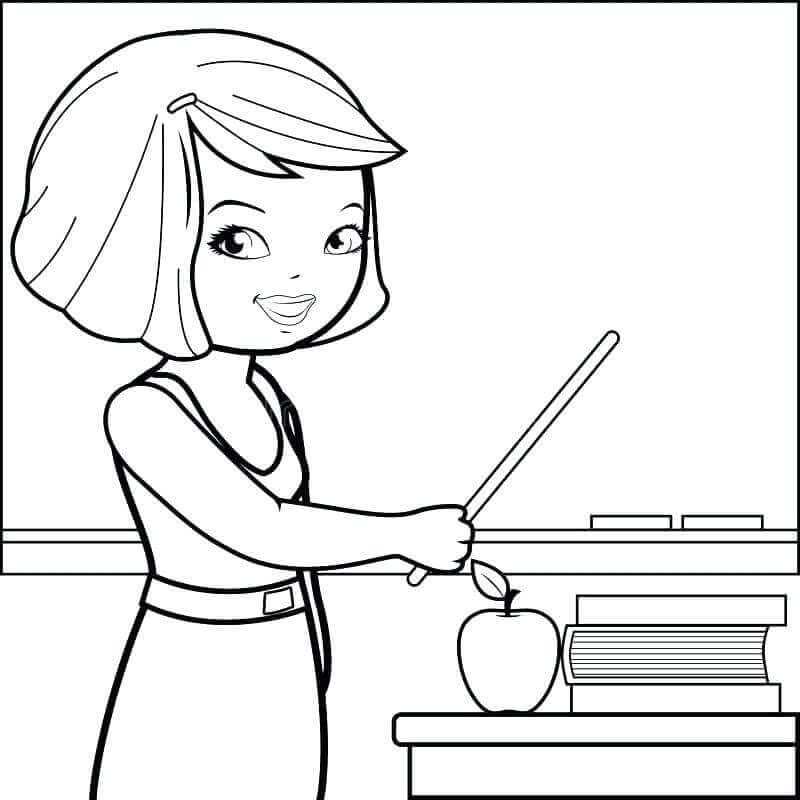 You can print this page and color it in brilliant colors while thinking of the teachers who are young and brilliant. 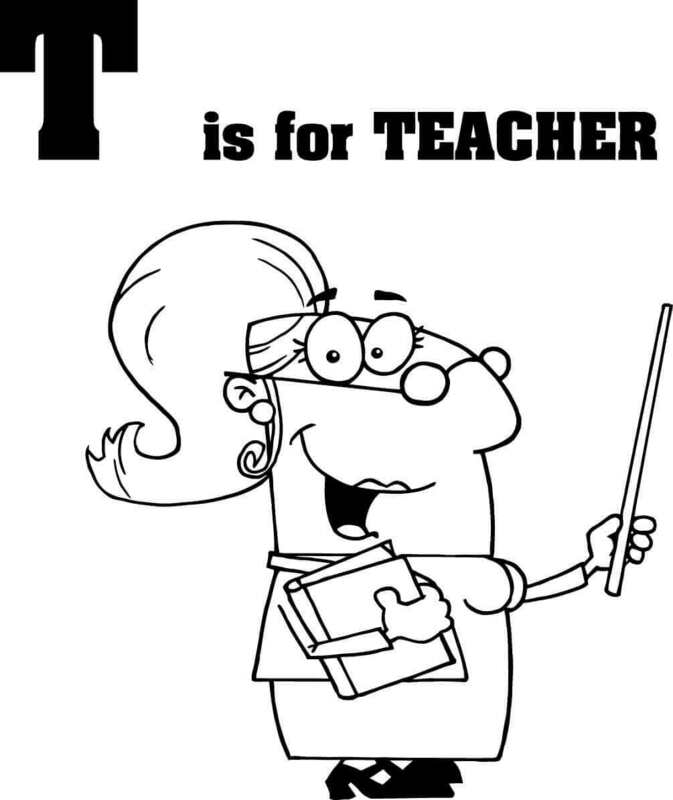 Since we have been talking about teachers and appreciating their hard work and dedication, we are here with the exercise to find a word starting with the letter T. Yes, you are right. T is for Teacher. 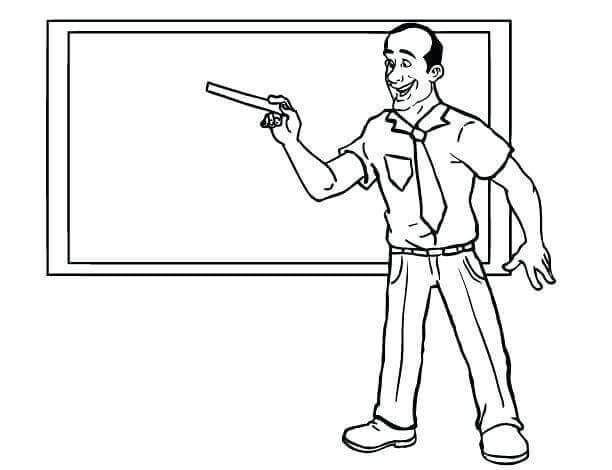 Even the teacher on this illustration is happy with your answer. Most people, even you might feel grossed out on finding a bug in an apple. But not this brave and curious biology teacher. All living things are precious and interesting to her. Appreciate her curiosity and her bravery by printing and coloring this page. 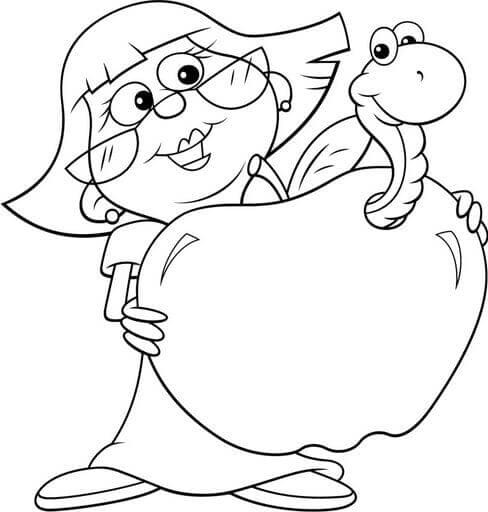 Unlike the apple on the previous coloring page, this one is happy, healthy and smiling. 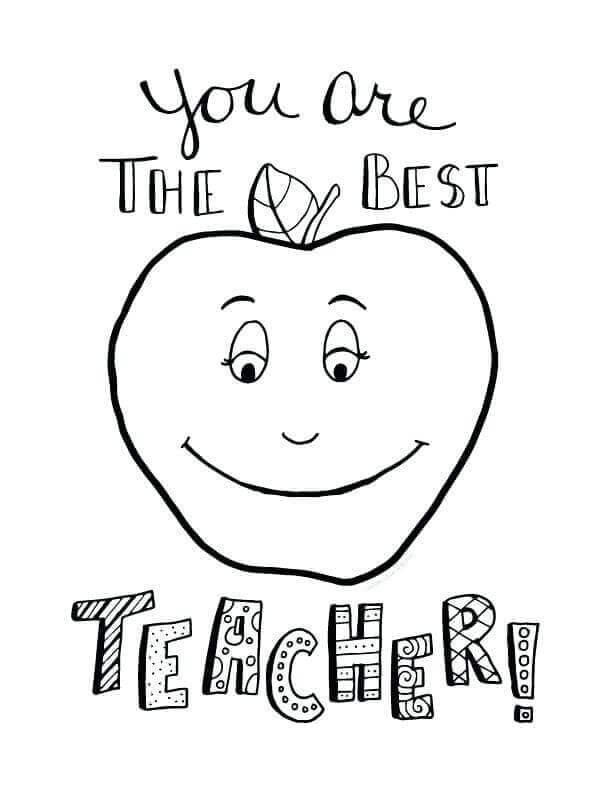 That’s because it is here as a messenger for you to let your favorite teacher know they are the best. Quickly print this page and fill it with your remarkable coloring skill. If you love superheroes, then you know it too that all the superheroes are ordinary people who gain extraordinary power by their sheer will to do good and bring justice to the world. In life, not all superheroes come wearing a costume. They are everyday people like your parents, your teachers who work hard for a better future. Appreciate them all by printing and coloring this page. 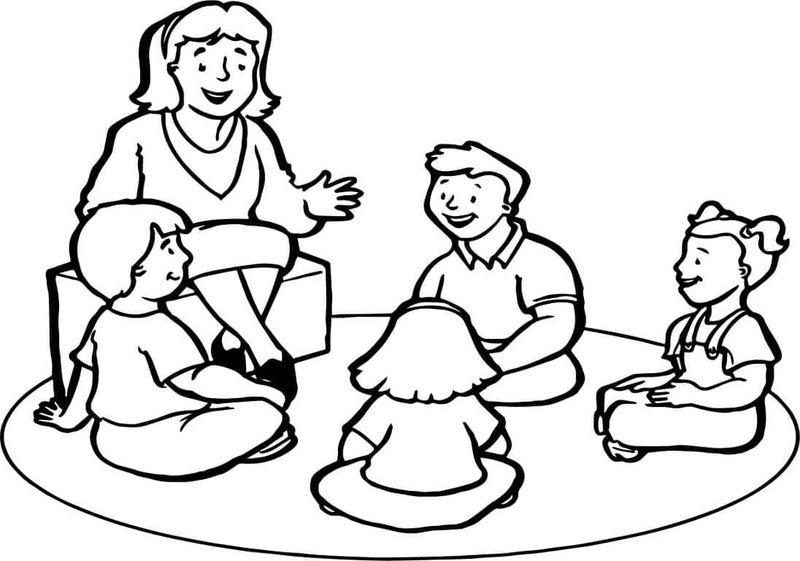 This illustration shows a day in a normal class where the teacher is imparting her lessons while all the students are keenly listening to her every word. This must remind you of your own classes. It looks like a usual art class, but the teacher here is letting everyone know about the value of cleanliness, encouraging each other and above all having fun doing what we are doing. Ponder on these while you color this page. A little note of thanks for everything they have done for you can mean the world to your teachers. 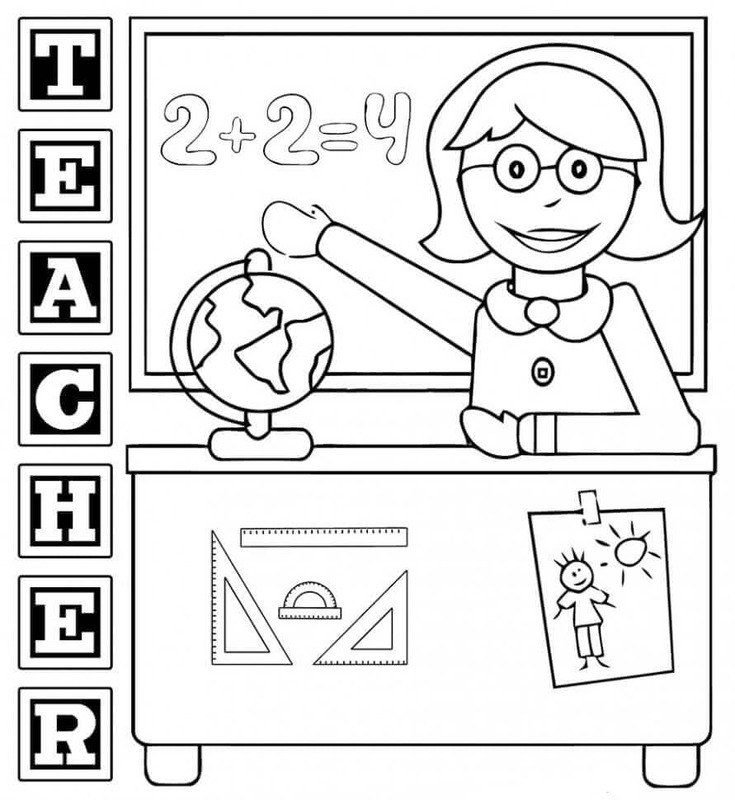 So, print this page and fill with colors before you give them to your teachers. Welcoming you to the mysterious world of mathematics and science is this wonderful teacher. The first lesson is on addition. Next, she will take you through geography lessons with the globe. Prepare well by printing and coloring this illustration. 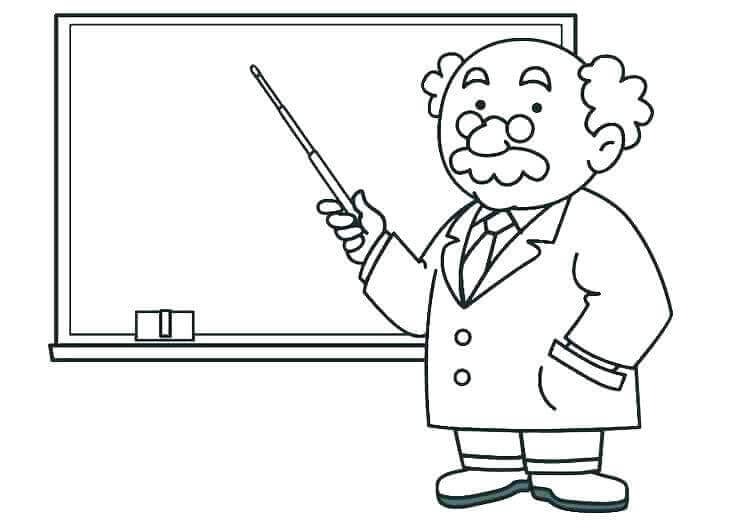 You might have seen how a teacher mostly stands while teaching us lessons even though a chair is available. They work hard tirelessly so that we can learn the lessons well. You can appreciate their hard work by studying hard. It is not just teaching an entire class, but teachers also pay special attention to individual children. Like this young student who was finding it hard to learn today. This teacher has taken time out to help him understand better. 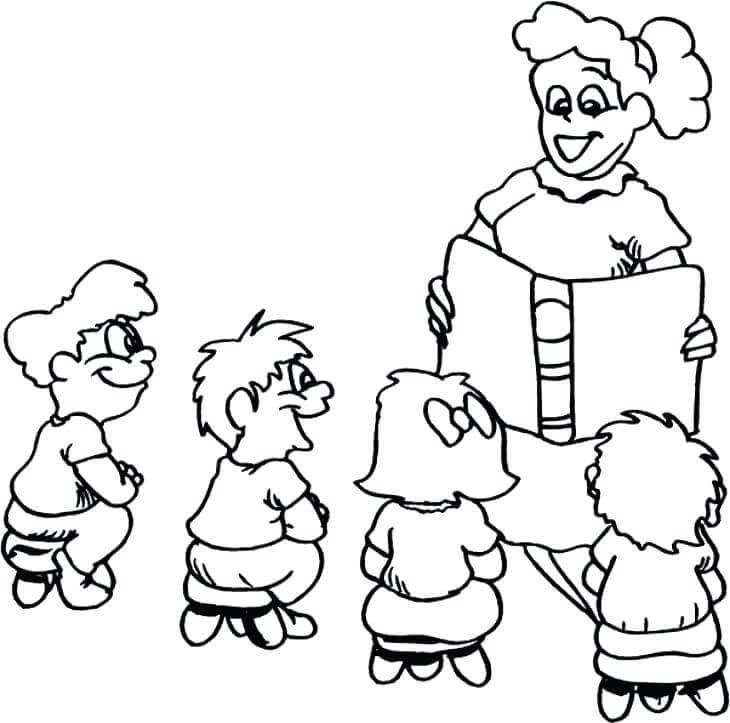 Reading text only can get mundane and boring for most students, that is why teachers make use of several other mediums like pictures to impart the required knowledge. This teacher is showing a picture of a historical figure to help children learn better. If you’re learning and expanding your knowledge, then there must be a way to evaluate if you have learned well or not, right? That is why tests are held to ascertain how much attention you were paying during class. Looks like it’s test time in this class today. Did you know that several cultures pass down some of their knowledge and heritage only through oral traditions? Much like that, in this storytelling class, the teacher is narrating an interesting story with a life lesson to learn. This must be an extremely exciting story. Look at the expressions on the faces of the students and even the teacher. You can think up your own stories as you print and color this page. 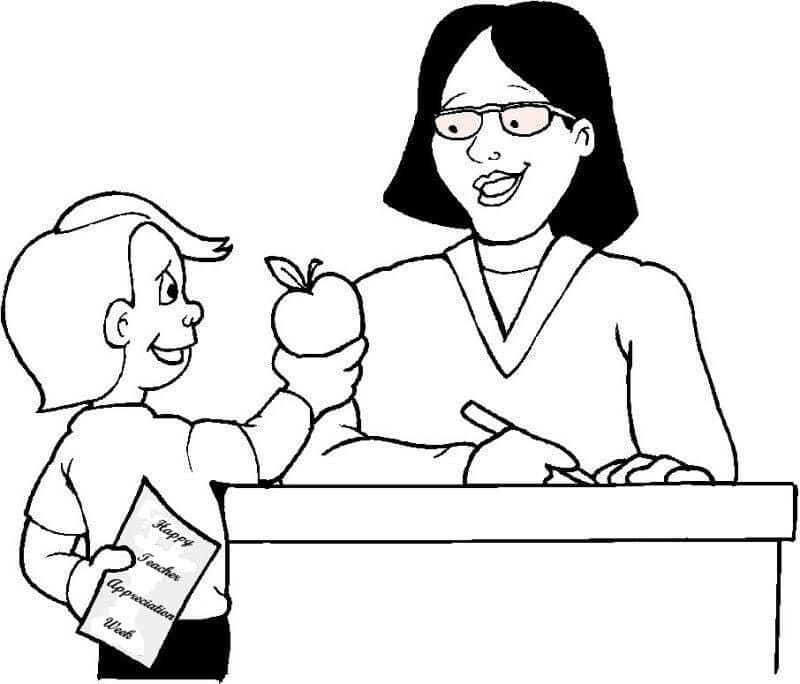 It seems this young pupil is here to thank his teacher for her work and decided to gift her an apple too. How thoughtful of him, isn’t it? 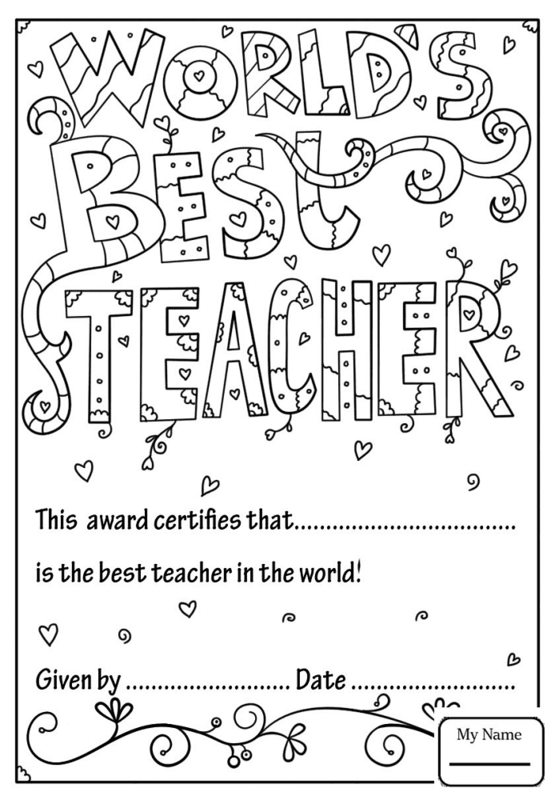 If you want your card announcing your favorite teacher as the best teacher to look professional, then you can print this page and carefully color it. 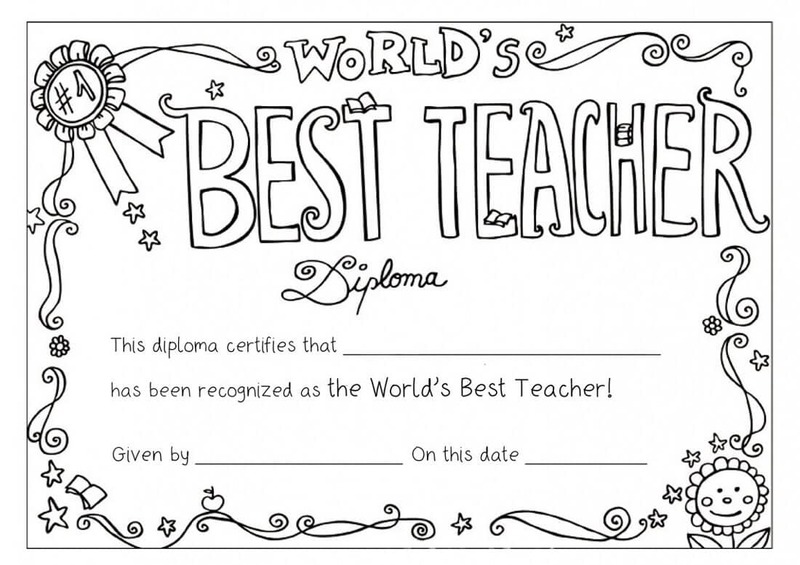 After filling in required details in beautiful handwriting you can award this to your best teacher. We have all had at least one teacher in life. 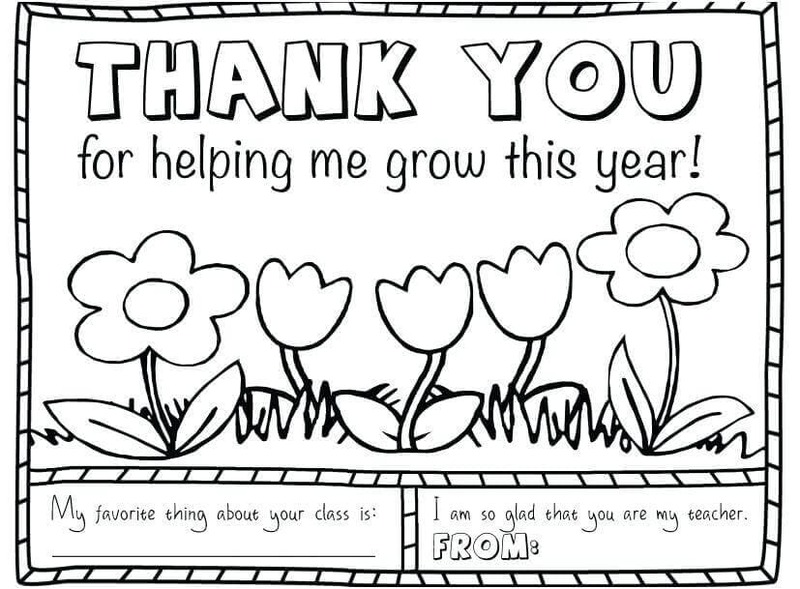 Through this collection of Teacher Appreciation Week coloring pages, hope you were reminded of a few of the best teachers you had in your life so far. Make sure to acknowledge, appreciate and show your gratitude to all your teachers. The best way to show your appreciation is by becoming a good, kind and extraordinary human being in your life.